Usagi Tsukino is still struggling to balance her home life with the duties of being Sailor Moon, the guardian of love and justice. 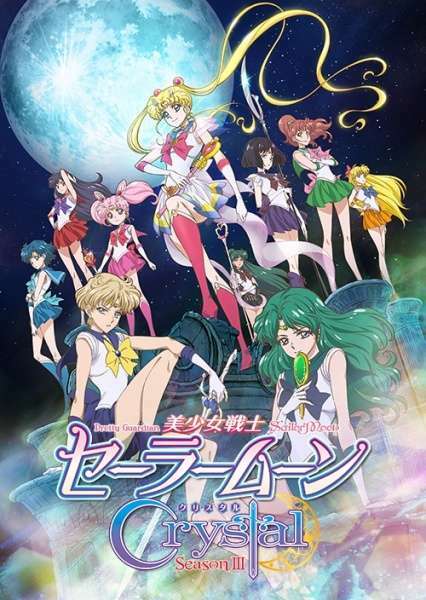 Along with the other Sailor Guardians and her boyfriend Mamoru Chiba, they begin investigating cases of students from Mugen Academy, a school for the most elite students, who are being transformed into monsters. During the investigation, they meet three strange individuals: Haruka Tenou, a handsome racecar driver; Michiru Kaiou, a talented violinist; and Hotaru Tomoe, a mysterious girl with a weak constitution. As more incidents occur, the Sailor Guardians are met with another surprise—the appearance of two new planetary protectors with motives of their own. Despite the newcomers' questionable allegiance to Usagi and her comrades, they all face a threat from a common enemy: an evil entity who calls himself Pharaoh 90.